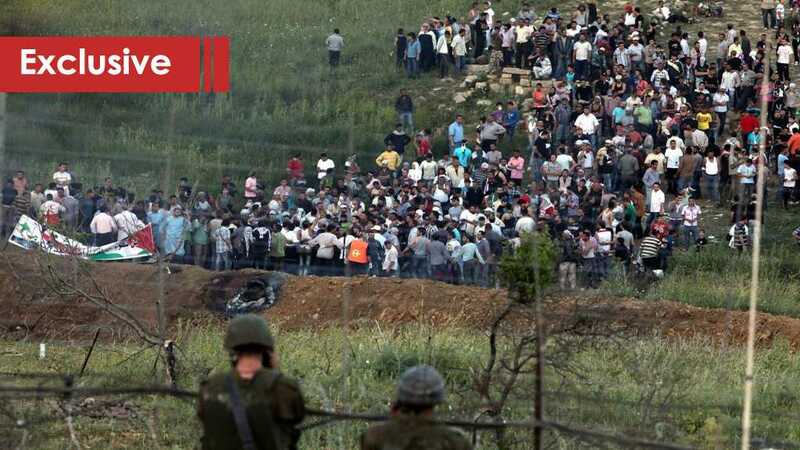 Beirut – Away from any context and based on the US President Donald Trump’s track of buying and selling everything in the market of politics, the man decided to sell the occupied Syrian land in Golan to the apartheid “Israeli” entity. However, the price is paid by the Arab’s silence and some kingdoms’ surrender. Meanwhile, a flag of resistance remains to be raised in face of the occupation despite pressure. “The Golan is a Syrian territory occupied by “Israel”, nothing can change this truth,” Amer retreated. The Golan Heights are officially recognized as belonging to Syria since the country gained independence in 1944. In addition, the international community continues to stress that this region belongs to Syria, given that was annexed by “Israel” since 1981. Calling this decision “null” and “without influence” on the internal Syrian arena, Amer raised doubts concerning the time of Trump’s step. “Trump’s decision is seen as a major boost to Netanyahu. I.e.15 days ahead of legislative elections in “Israel”,” he clarified. “The people of the Golan are attached to their Syrian identity and have repeatedly demonstrated their support for the Syrian government and Syrian President Bashar al-Assad,” Amer went on to say. “This decision comes to burst the situation,” he said. “Any resistance movement would be productive because the Resistance is always a just cause and justice always wins,” he concluded. 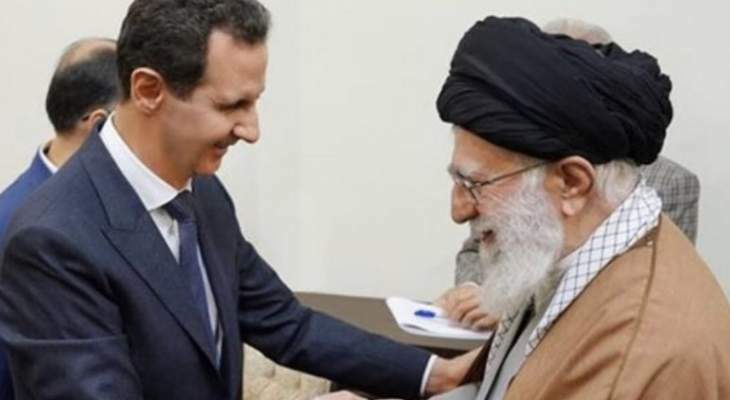 TEHRAN, (ST)- President Bashar Al-Assad on Monday visited Iran and held meetings with Sayyed Ali Khamenei, the Supreme Leader of the Islamic Revolution of Iran and President Hassan Rouhani. President Al-Assad congratulated Sayyed Khamenei and the Iranian people on the 40th anniversary of the victory of Iran’s Islamic Revolution which has been over the past four decades an example to follow in terms of building a strong state that is able to achieve the interests of its people and is fortified enough against all forms of foreign intervention and that adopts principled stances in support of the region’s peoples and their just causes. President Al-Assad –Sayyed Khamenei meeting discussed developments in the region and reviewed the deep-rooted brotherly relations between the Syrian and Iranian peoples and stressed that these relations have been the main factor that enhanced the steadfastness of Syria and Iran in the face of enemies’ schemes which aimed at destabilizing the two countries and spread chaos in the entire region. Sayyed Khamenei congratulated President Al-Assad, the Syrian people and army on the victories achieved on terrorism, pointing out that these victories have dealt a heavy blow to the western-American schemes in the region. He stressed that these schemes necessitate more caution against future plots the West may prepare in reaction to their failure. The supreme leader affirmed his country’s firm support for Syria until its full recovery and until terrorism is completely eliminated, pointing out that Syria and Iran are each other’s strategic depth. On his part, President Al-Assad stressed that achieving the interests of the peoples of the region’s countries necessitates that the governments of these countries stop obeying the dictates of some western countries, at the top of which is the United States, and adopt balanced policies based on respecting other countries’ sovereignty and non-interference in their internal affairs, particularly after experience has proved that subordination and implementing others’ dictates bring worse results than the adherence of countries to their sovereign decision. The two sides reiterated that the policy of escalation and the attempts to spread chaos practiced by some western states, particularly against Syria and Iran, won’t prevent the two countries from pressing ahead with defending the interests of their peoples and supporting the regions’ just causes and rights. Later, President Al-Assad met with his Iranian counterpart Hassan Rouhani. The two sides expressed satisfaction over the strategic level the Syrian-Iranian relations have reached. President Al-Assad thanked Iran’s leadership and people for supporting Syria during the terrorist war waged on the country. On his part, President Rouhani asserted that the Iranian people’s support for Syria started from a principled stance on supporting legitimacy which resists terrorism. “Syria’s victory is a victory for Iran and the entire Islamic nation,” President Rouhani said, pointing out that Tehran will continue supporting the Syrian people to complete the elimination of terrorism and start reconstruction. Talks during the meeting also focused on the efforts exerted within Astana process to end the war on Syria. President Rouhani talked to President Al-Assad about the recent Sochi summit of the leaders of the three guarantor states of Astana process on Syria. The viewpoints of two presidents were identical on ways to achieve the hoped-for progress that preserves Syria’s sovereignty and territorial integrity and that leads to full elimination of terrorism in Syria. The two leaders agreed on continuous coordination at all levels to serve the interests of the peoples of the two countries.